Thank YOU for your Valley Gives Day support! Our final tally was $19,208: $10,208 in direct gifts from 210 donors; $5,250 in matching gifts from board members and friends; $2,500 prize for making our match; $750 for bringing 15 of the first 600 New Donors to Valley Gives, and a $500 Golden Ticket. Thank you! Valley Gives Day is important for philanthropy across our region, and it is important for Grow Food Northampton! We know you appreciate the value of our work to protect farmland, give farmers and gardeners access to that land, and make sure everyone in our community can eat locally and sustainably grown food. We encourage all our supporters to give online on May 3, and to help us find new donors by using email, social media, and good old-fashioned peer pressure. Read on to learn how you can help us turn $10,000 in gifts into $20,000 in the bank! NEW DONORS = $50 BONUS! Donors who have never given through Valley Gives (2012 – 2014) are eligible for a $50 new donor bonus, even if they have given to Grow Food Northampton in other ways. This bonus will be awarded to the first 500 new donors who make donations on Valley Gives Day and will only be added to their first gift of the day. A unique donor is identified by the email address entered at the time of the donation transaction. This means a $10 gift is worth $60 to us if it comes from someone whose email address has never been associated with a Valley Gives gift, and who makes their first gift through Valley Gives on May 3 to Grow Food Northampton. Our goal is to have at least 20 among the first 500 new donors, bringing in an additional $1,000. We need your help recruiting these people and making sure the email addresses are new to Valley Gives. MORE DONORS = BIG PRIZES! Prizes will be awarded for most unique donors (identified by the email address entered at the time of the donation) to an organization based on their budget size category. There are 3 categories – large, medium and small nonprofits. In each category the first place award will be $5,000, second place $4,000, and third place $3,000. Our goal is to be in at least third place among small organizations, for at least a $3,000 prize, by maximizing the number of gifts associated with unique email addresses. We received a $4,000 prize last Valley Gives, so we don’t think this is too ambitious if all our supporters stick with us! Throughout Valley Gives Day, donations will be randomly chosen to be amplified with a “Golden Ticket” worth either $500 or $1,000. While there is an element of chance, we think our best shot at $1,000 is to have as many gifts as possible made before 9am on May 3. Thanks to generous board members and friends, we have a $2,500 match on our Valley Gives page to start the day. That means the first $2,500 in donations will be doubled! And the sooner we make that match, the sooner we know we will be entered in a lottery for a chance to receive one of 20 Community Foundation $2,500 prizes for organizations that meet their match goal. This means these early donations could be tripled! 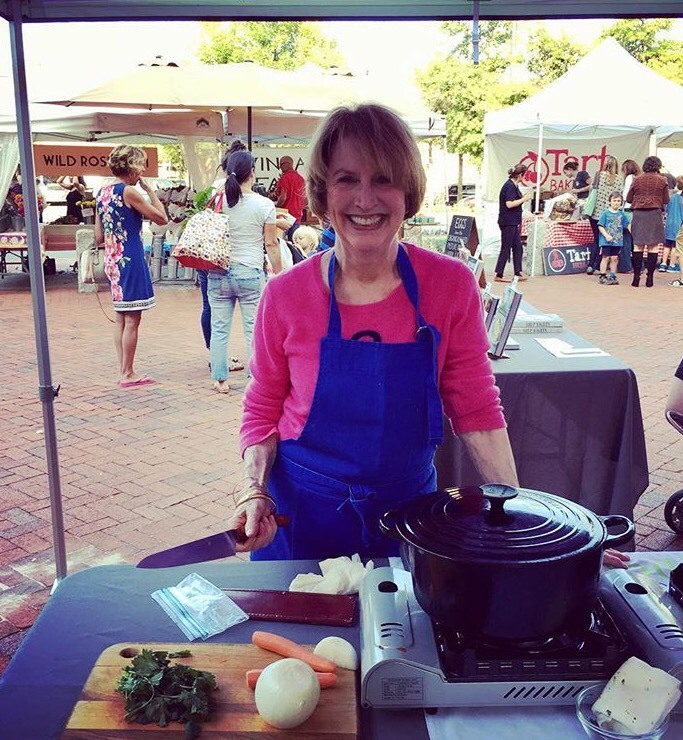 Thank you for your help in making Valley Gives a success for our local food system! 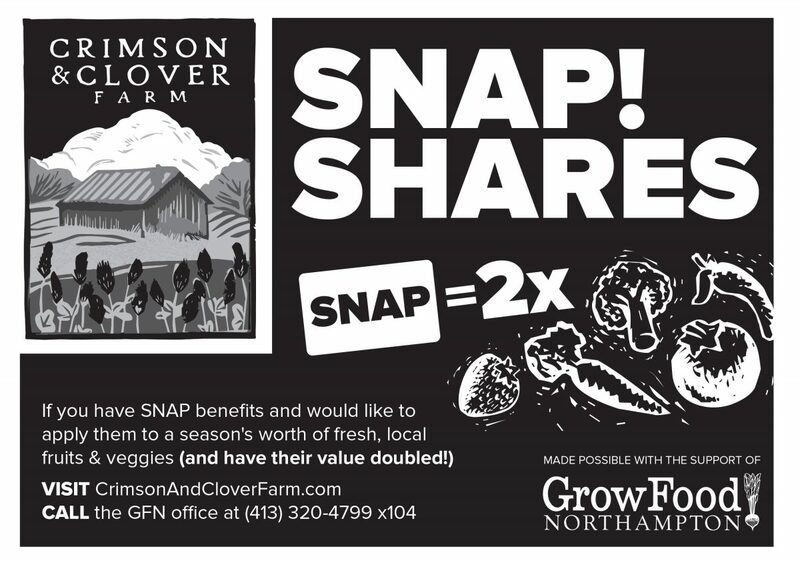 Half-price farm shares for SNAP participants!